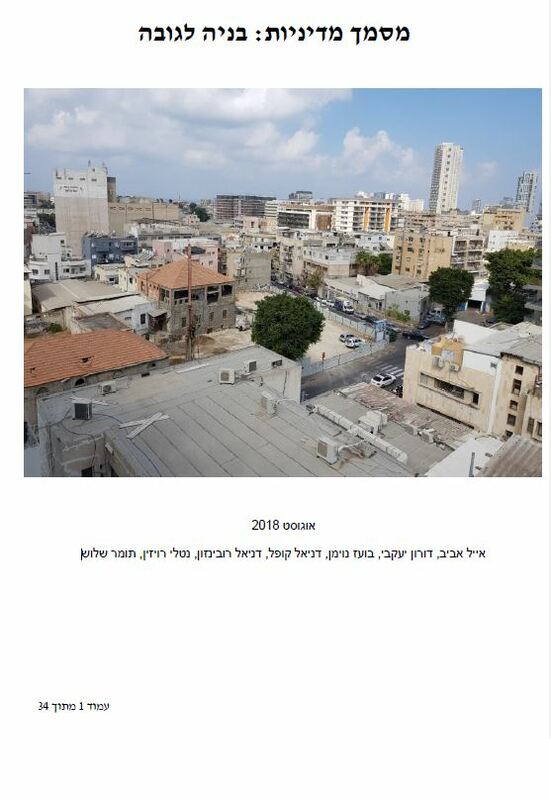 מהי השפעת אגרות-חוב צמודי נדל''ן על שוק הדיור בישראל? 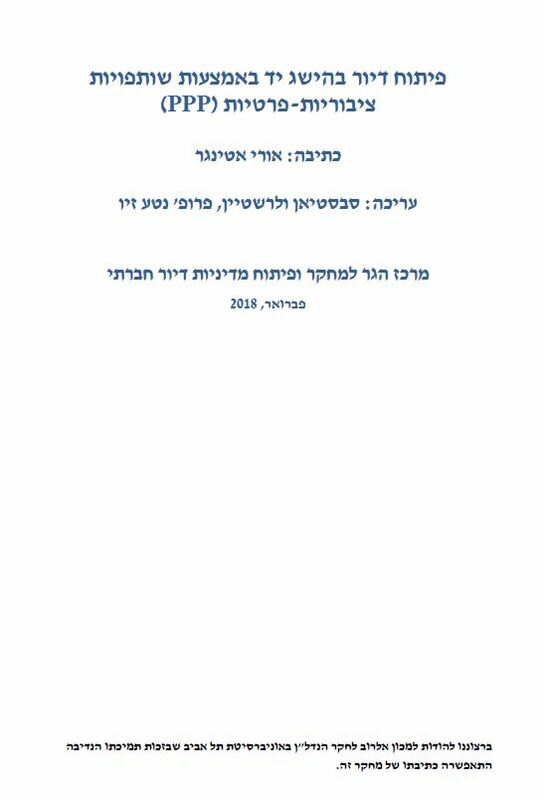 Ater, I. Characteristics of the Israeli Real Estate Used Properties Market. 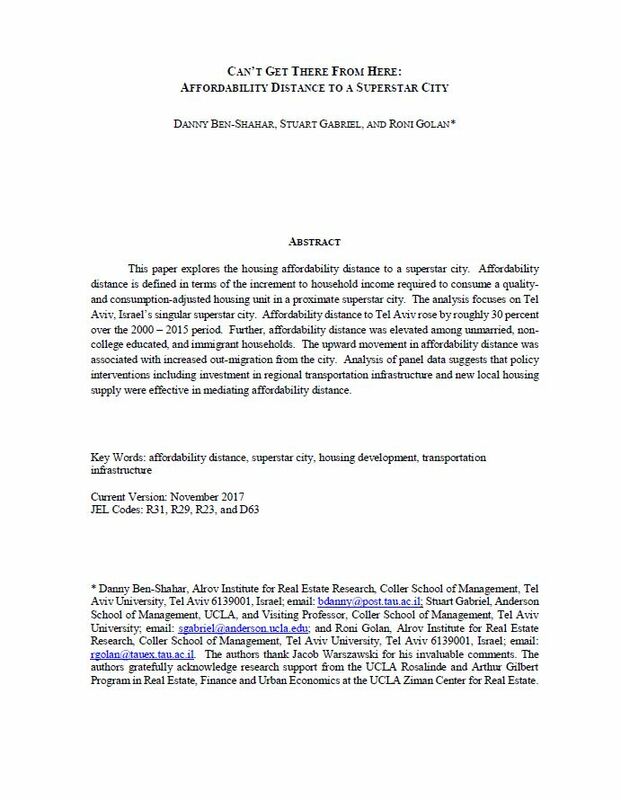 Ash, D. (Ir)rationality in Home Sales? 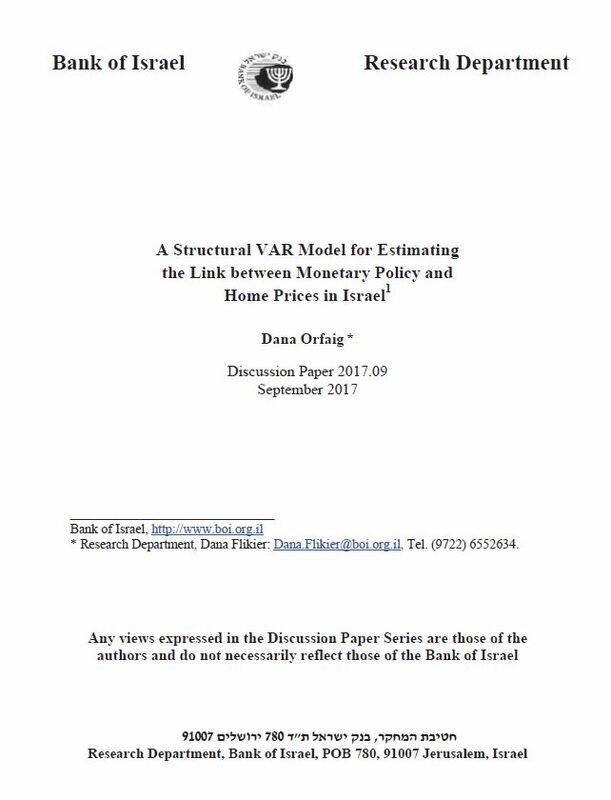 (Ir)rationality in Home Sales? 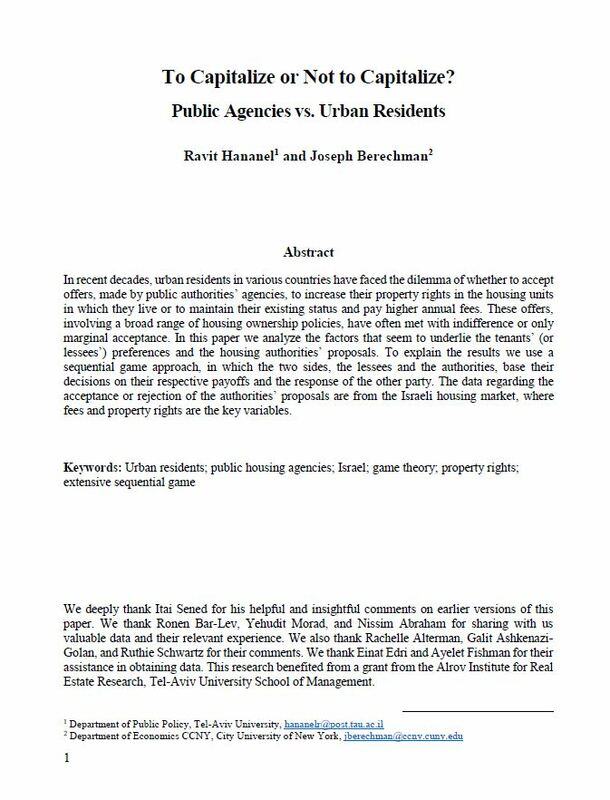 Garfunkel, D. Property Management Companies and their Growing Impacts on Urban Governance. 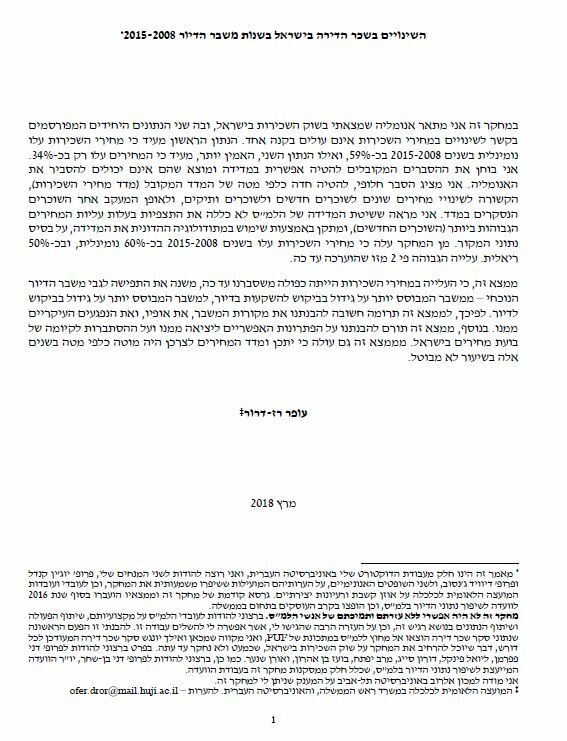 Raz-Dror, O. 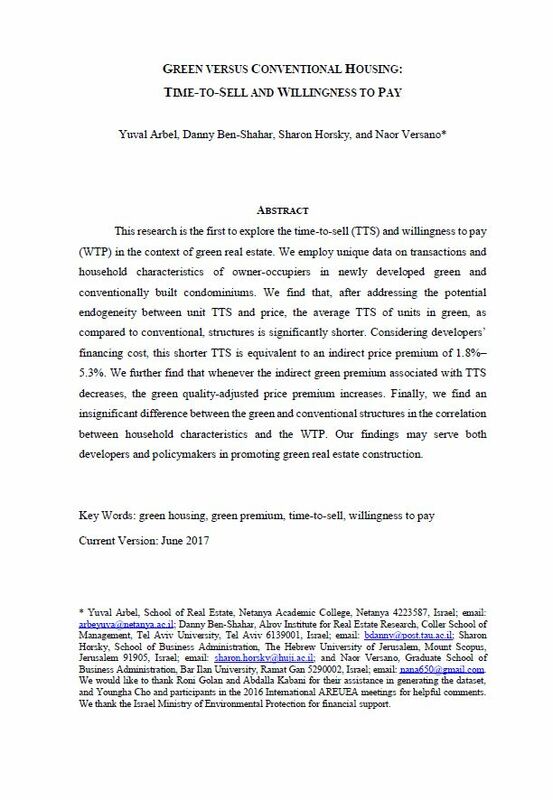 When Simple is Better: the Turnover Effect and the Housing crisis. 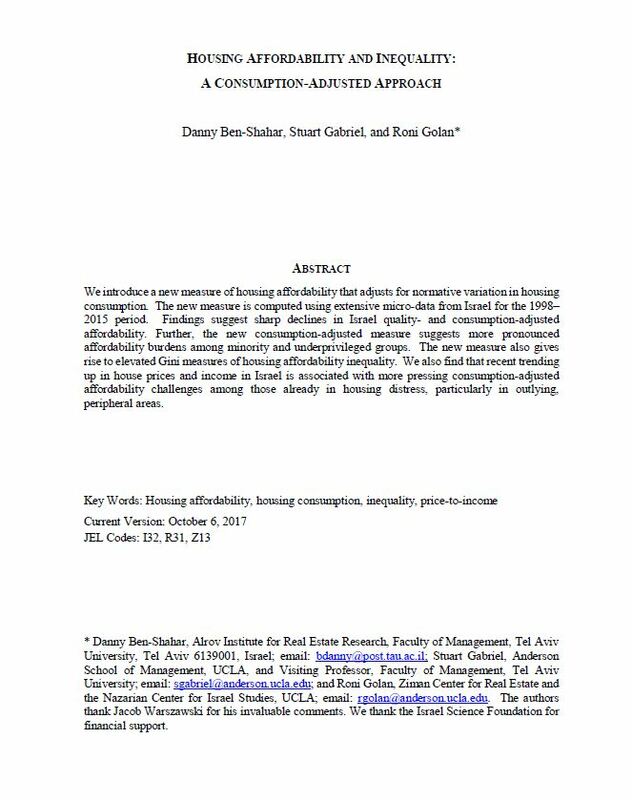 Ziv, N., and Wallerstein, S., and Ettinger, O. Public-Private Partnerships (PPPs) in Israeli Local Governments: Affordable Housing as a Case Study. 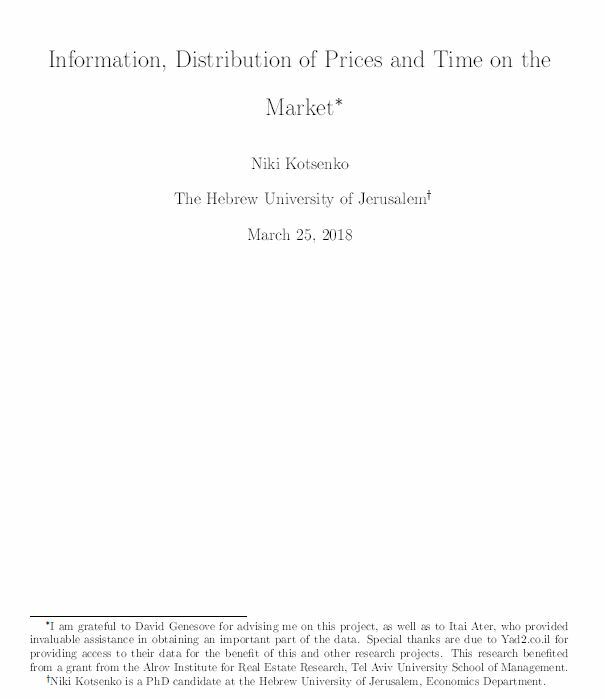 Genesove D. Housing Density Changes and the Increase in Prices in Israel. Ben-Shahar, D., and K. Warszawski. 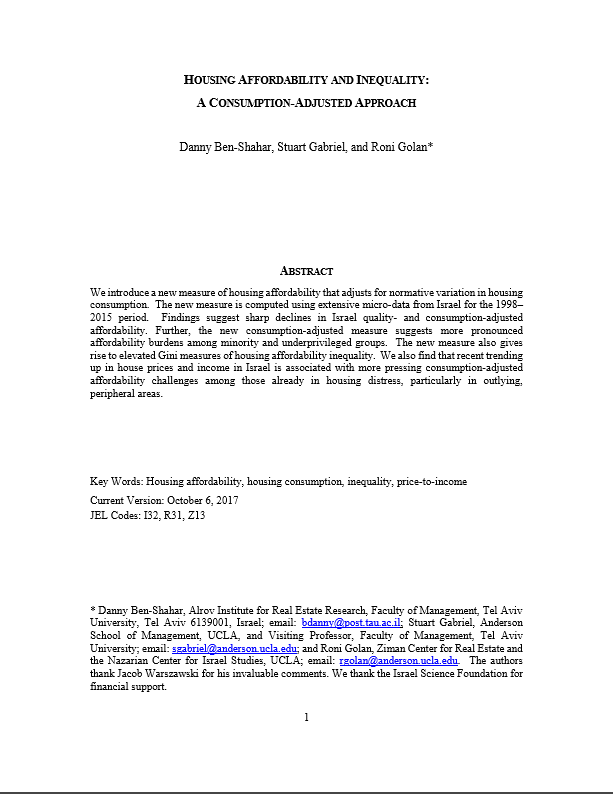 Housing Affordability under Standardized Housing Consumption. 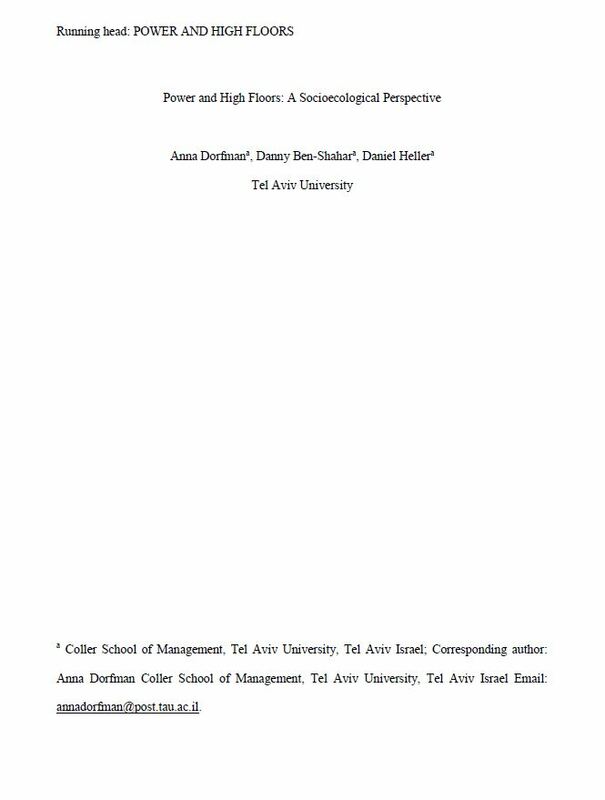 Ben-Shahar, D., R. Golan, and E. Sulganik. 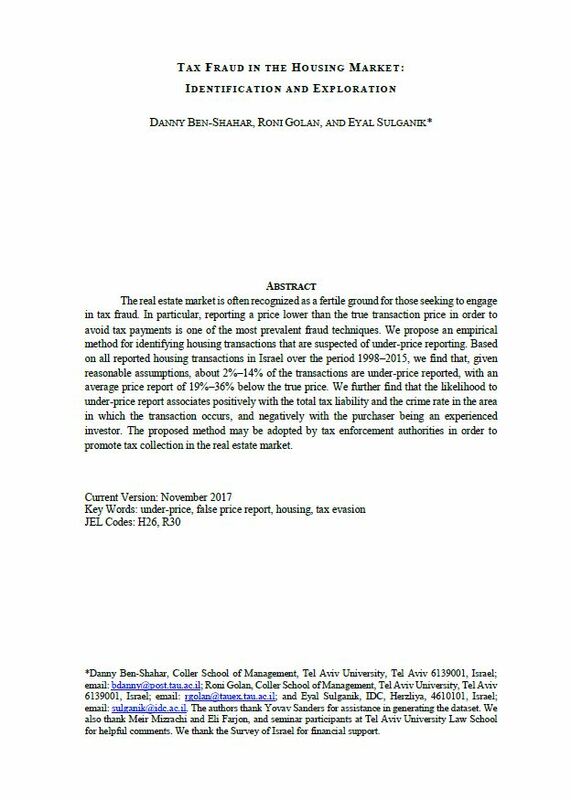 Fraud in Real Estate Prices: A Benford Law Approach.